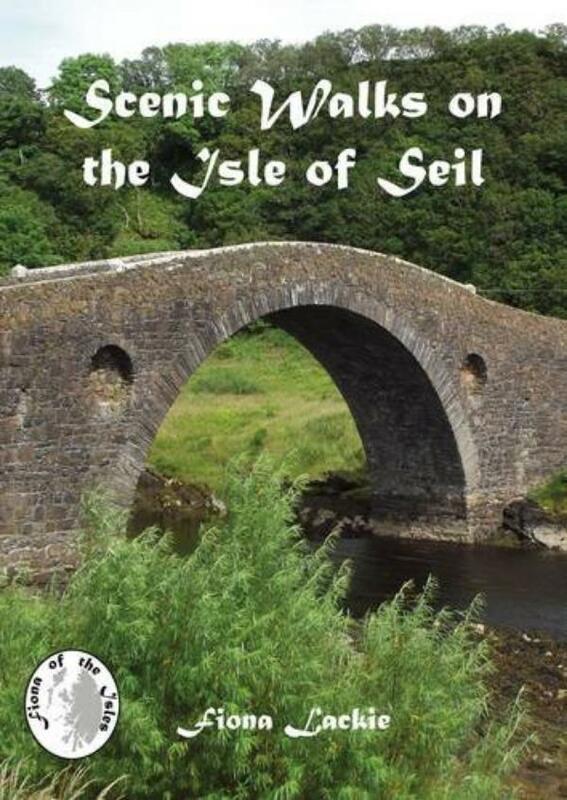 A walking guide to the beautiful Isle of Seil, near Oban in the western Highlands of Scotland, written by a local resident and keen walker. Including historical and wildlife notes. The Isle of Seil is a premier and popular holiday resort on Scotland’s west coast. Despite its name, Seil is linked to the mainland by the stone bridge of 1792, greatly increasing the tourist flow to the island. The island has historic links to St Columba and to Clan MacDonald as well as thriving wildlife including seals and golden eagles. The island covers 5 square miles and rises to 500 feet on the peak of Sloc an Eich Dhuinn. This book has been put together by island resident Fiona Lackie who has walked all the routes herself (with her dog) and has cleared the routes with the landowners. There are over a dozen routes ranging from the short and easy to the lengthy and challenging. A children’s quiz and notes on wildlife spotting round off this charming book that captures all that is best about the Isle of Seil. Fiona Lackie is a native Scot who now lives on the Isle of Seil, one of the premier tourist locations close to Oban, ferry port and railway terminal for the Hebrides. Fiona has lived on the island for years and has walked extensively over the island, working out the walks that feature in this book.